Following is an outline of the Discover courses being offered at Michaels stores. Specific class offerings and availability may vary by store. See your local store for a complete schedule. Most classes are 2½ hours in length and includes a visit to the yarn department to discuss yarns and accessories to make your knitting and crocheting experience more enjoyable. Discover instructors are students and graduates of the Craft Yarn Council’s Certified Instructors Program. Many have taught extensively, but all share a love of knitting and crocheting. Each class listing explains what will be covered as well as any prerequisites for the class. Please check back regularly as class offerings will change. 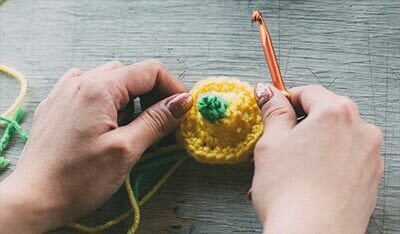 Crochet Level 1 —These two projects are offered during this class. The student decides which project they would like to work on in class. 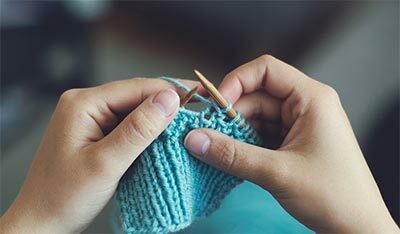 Crochet Level 2 —These two projects are offered during this class. The student decides which project they would like to work on in class. Knit Level 1 - These two projects are offered during this class. The student decides which project they would like to work on in class. Knit Level 2 - These two projects are offered during this class. The student decides which project they would like to work on in class.